Hi All, am new and just registered so hello there - I hope you can kindly be of assistance. I have just bought an N4 from eBay - it was described as playing beautifully. it doesn't. Neither does it stay in tune for more than a few seconds and the gentlest of waggles on the trem and its back to the fine tuners! Have asked the seller for a refund on the basis that it is substantially not as described but seeing as I plan to purchase another one asap (I played a friends N4 vintage - the one with the big screw in the volume knob, and loved it so the hunt is on for a good one) I thought I would ask those in the know a few questions which will help me on my way to buying one of these great guitars. 1) The guitar I bought has obvious fret issues that whilst irritating (and not described or mentioned by the seller which is really naughty) are not beyond fixing but the thing that really surprised me was that the trem says 'Floyd Rose special' which I understand was the Korean version and I thought all N4's had Washburn/Schaller/OFR terms made in Germany? 2) The pickup rings are angled like on a Gibson Les Paul or Sg - is that normal? the neck pickup is really out of line with the strings! 3) I note there are some nice sunburst versions (any many different finishes) - do these have more or indeed LESS value that one of the normal (Alder?) wood finish versions? The Swamp ash ones look nice also so interested in peoples thoughts on those too! 4) the one that my friend owns is the relicced N4 natural finish and the frets are massive - very different to the frets on the one that I will be sending back, more like a medium jumbo - again is that normal that only the relic version has the huge frets? Any help greatly appreciated - thank you in advance! - will post some pics asap when I figure out how so you can give me your thoughts. Pics here now, hope this helps! The biggest issues are that the guitar is choking out all over the place - took it to my local guitar repairer who I do trust as he has looked at many guitars for me over the years this morning and he thinks it needs a serious fret dress as the 11th/12th fret is raised and if you fret just before no matter what you do you get the same note sounding! so not good... the high E string also slips off the fretboard with even slight vibrato as the frets are over radiused on the edges. The tremolo is also too small for the original routing so there uneven space around the trem and it looks really odd - the replacement is much smaller that the one that would have been there before - if you look on the photo's you see what i mean if you then compare it to any other photo of an N4 you can find. Even the strap buttons have been replaced - the ones on it are the sort that slip out of the strap if you even wiggle the guitar around but they are easily swapped of course. I may be wrong but it looks to me like your guitar is a fake Chinese knock off N4.A few things that look off to me is that the serial number is printed on the headstock instead of stamped in the wood,and if the serial is correct I believe it means that it's a 2014 model which I think should have the different shaped back plates not the smaller Dimebag style ones like yours has and also smaller plate screws.Also the font is wrong on the "Nuno Bettencourt model" headstock decal and I believe it should say Nuno Bettentcourt SIGNATURE model instead. Plus the floyd route and the Stevens cutaway routes look pretty rough for a real Washburn. Another thing,are the back plates plastic or aluminum? A real N4 should have aluminum plates. looks like Ive been conned. hope eBay come good. I don't think you should have any problems on getting your money back if you file a claim against the seller on Ebay.I would send Ebay a link with pictures of what a real one looks like and also a link to a fake one and explain the differences. Here is a link to a fake N4 if that will help you any.This one doesn't have the serial number but usually the sellers over there will put one on the guitar if you ask them to.I have a friend that has bought two Les Paul's from that website and they have made in the USA and a serial number stamped on them. Here is a real 2014 model N4.Hopefully this will be enough proof to help you get your money back. thanks 87 Rampage - really helpful, lots of things don't add up on this one so I thinks its a copy at worst - a bitsa at best, one way or the other NOT what the seller claimed it was thats for sure - its got abalone dots for fret markers and a birdseye maple neck and the bridge pickup is screwed in from behind so there are lots of positive details but the body in places looks like it was carved by a 14yr old in woodwork class and the fret job is awful so I just hope I can get ebays assistance - he's not responding to messages but he did claim his mum had passed away when I queried why the guitar hadn't arrived after 12 days - he might be genuinely unaware its a fake or knock off who knows. I will get a real one at some point - determined! Ayuh, already filed one (friday last) he hasn't responded so Im hoping that will mean I can get a refund without too much stress. 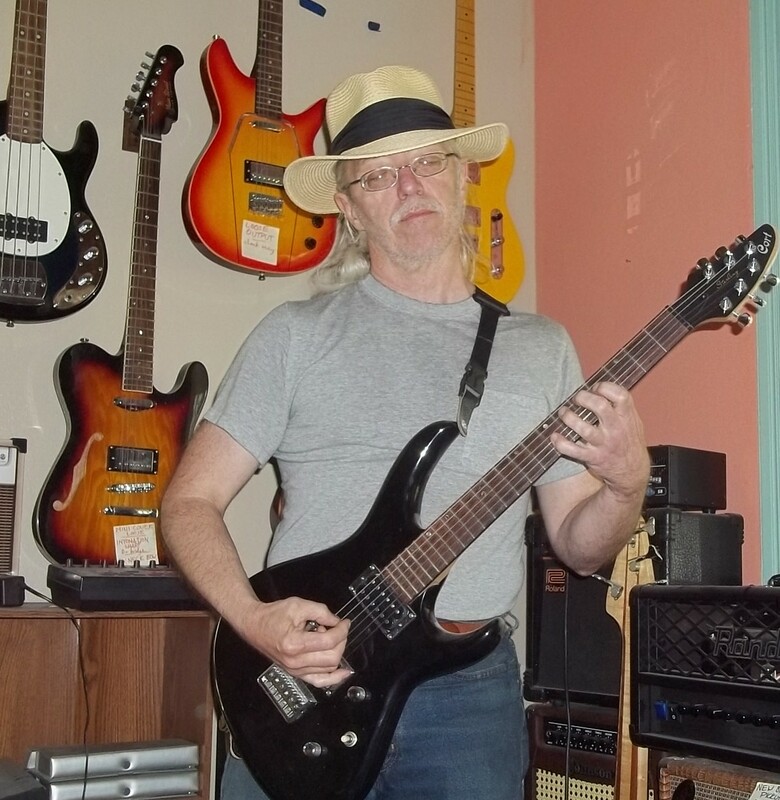 Meanwhile found a new one is a guitar store so for safety sake I think thats the way to go - eBay isn't what it used to be - full of sharks and con artists. Ah well, you live and learn - I really appreciate the support though and hope to post some pics of my new one soon! Yeah man as soon as I saw it I knew it was a fake :/ I had a guy try to do the same thing from craigslist, but I posted it here and was quickly made aware that it was advertised falsely. When I confronted him, I got no response. Hope you enjoy your new REAL N4! I loved mine and am still kicking myself for getting rid of it. I'm always on the lookout now but prices seem to have gone up quite a bit on the used market for these. Just thought I'd chime in and agree with the above members that the guitar you have is unfortunately a fake. I know, I'm late to the party, but felt the need to comment. I hope by now you have gotten the dispute resolved. Keep looking for a real N4. You won't be disappointed once you find one. Thanks Fella, the new one has arrived (a while back just havent had time to come back on here) and its brill, one of the treble side fret ends is a bit rough so it'll be heading off for a bit of TLC soon - oh and I HATED the bridge pup so that's gone and been replaced by a Dimebucker which was recommended by a friend who had done the same and its a guitar transformed! Hey thanks for the comment - all appreciated, and yes thanks Ebay were really fair and helpful and I got a full refund including postage costs! I returned the guitar to the seller at his cost and hopefully he's burned the bloody thing but it might re-surface later although I check ebay and reverb weekly to make sure its not come back up! A real one has also been sourced from guitar guitar who had a couple of NOS models from 2014 so a deal was done and is mine, great guitar and apart from the bridge pickup which I have replaced its entirely fantastic!